In addition to the eM2, several of Freightliner's vocational truck models will be on display in the booth, including the Freightliner 114SD, which can now be spec'd with the lightweight Cummins X12 engine. Other Freightliner work trucks - such as the 108SD and the M2 106 - will be upfitted with a range of bodies that demonstrate different customization options. Part of Daimler Trucks North America's (DTNA) e-mobility initiative, the medium-duty eM2 is being designed for local distribution, pickup and delivery, and last-mile logistics applications. The first eM2 was recently delivered to Penske Truck Leasing for real-world testing as part of the Freightliner Electric Innovation Fleet, reflecting DTNA's co-creation approach with customers to co-develop technology that shapes the future of transportation. The Innovation Fleet is developed in partnership with Penske Truck Leasing and NFI, and is partially funded by a $16M grant from the South Coast Air Quality Management District (SCAQMD). Series production of the eM2 begins in 2021. This year, Freightliner is a Platinum sponsor of the Green Truck Summit, which focuses on clean energy trends and initiatives for commercial vehicles. Freightliner has been a sponsor of the Green Truck Summit since 2012. 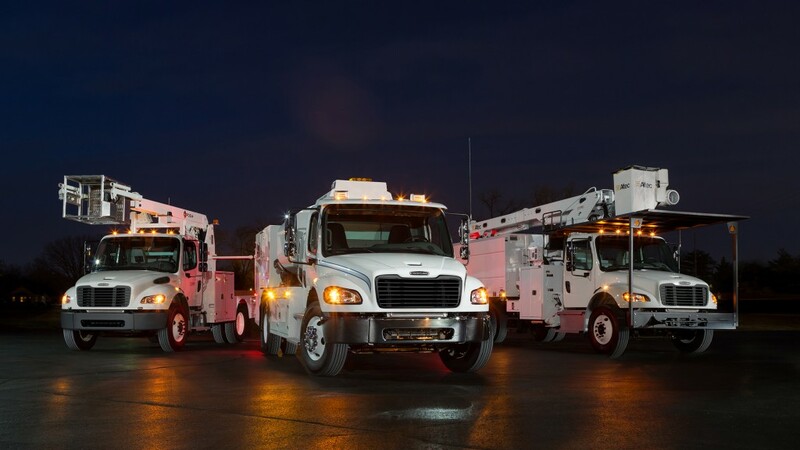 "DTNA is investing heavily in the development of practical and sustainable electric vehicles to support our customers and the environment," said Kelly Gedert, director of product marketing for Freightliner and Detroit. "We are committed to providing value to our customers' businesses in a world of constantly evolving challenges, which is why we continue to develop our product portfolio to positively impact their business needs." Work Truck show attendees will also see the market-leading powertrain options that are ideal for vocational applications, including the Detroit DD5, Detroit DD8 and Detroit DD13 engines. The first eM2 was recently delivered to Penske Truck Leasing for real-world testing as part of the Freightliner Electric Innovation Fleet, reflecting DTNA’s co-creation approach with customers to co-develop technology that shapes the future of transportation.